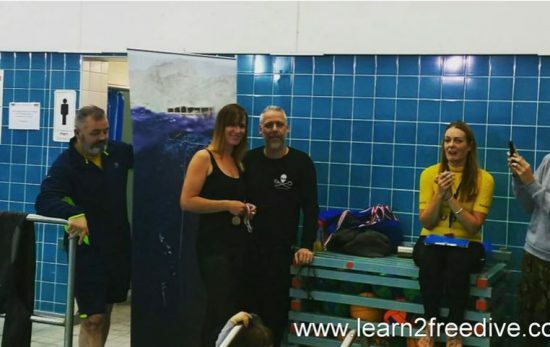 Before we dive headfirst into the 8th Great Northern International pool freediving competition taking place Sunday 16th April, we wanted to find out a little bit more about Steve Millard – the organiser behind the competition. I’ve been a scuba diver since I was 16 and first saw freedivers in Israel many years ago. I was amazed at how long they could dive for, and how effortless it was. 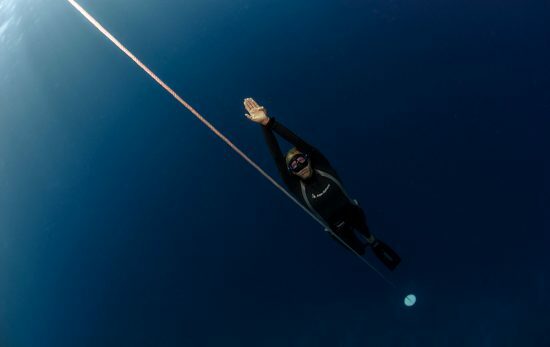 So, I looked into starting myself and found the film the Big Blue, then I found the magazine Freediver, and eventually found someone to teach me. His name was Howard Jones, I learnt in the SETT in Gosport which is a 30m deep pool. I then went to Egypt and Sardinia to learn with Umberto Pelizzari, a true legend in the sport. Since then I’ve been hooked. 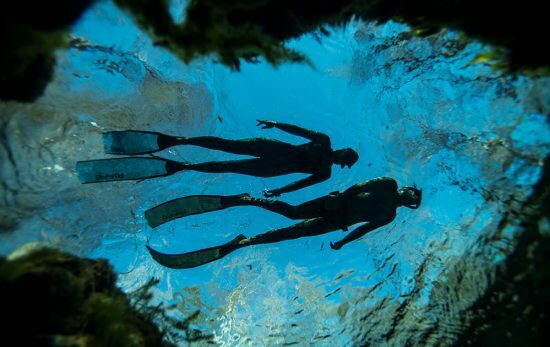 You’re now organising a National freediving competition; how do you get to a place like that in your career? It was organic. 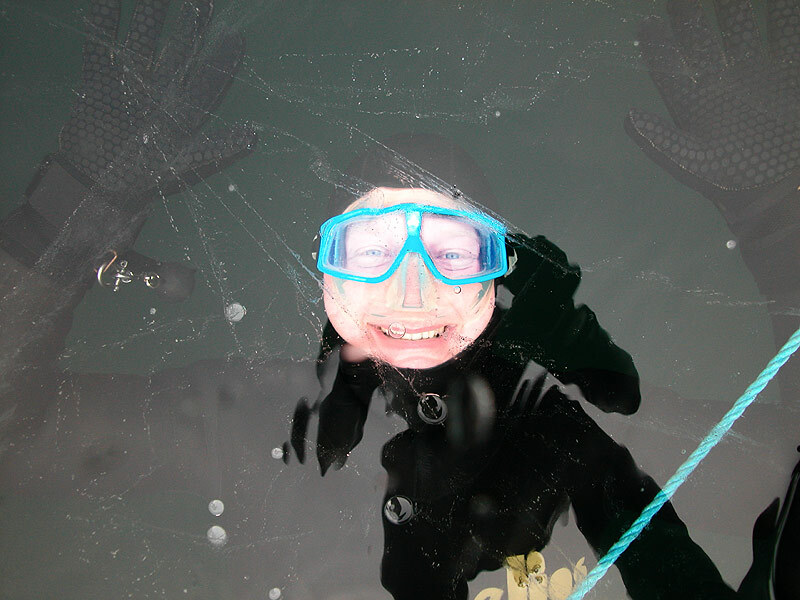 I have done every role in a competition and was a Freediving Instructor before taking on this role. I have been involved as a competitor in Nationals and World Championships and have also been a safety diver, head of safety, judge and coach. I joined the BFA committee and helped organize parts of one competition and then, around ten years ago, the time came when I decided to apply for my first competition. I’ve organized trips and courses and I enjoy that side of things, so it seemed a natural progression for me. I’ve done depth and pool competitions over the years – competing from around 2004 to around 2008 in various competitions. Depths, times and distances have improved so much in the last 10 years and I haven’t competed since, however, I enjoy the role of coach; bringing new talent through (but still secretly think I’ll compete again one day). What are the biggest challenges when organising an event like the Great Northern Freediving competition? Second biggest challenge: I think it is the amount of different people I have to speak to and work with. There are a lot of different roles within the competition and some, like safety divers, need specific training and qualifications. I’m lucky to have so many amazing people around me now that know the roles, so it’s getting easier. Also, all of the groups in the UK support each other, so that helps provide the larger network of people needed to do a really good job. For people who don’t know, how is a freediving competition in the pool different to freediving in the sea? Pool disciplines are distance and time, the sea competitions are depth. There are two Freediving types; ‘Depth junkies’ and ‘Pool rats’. They are different creatures and there are many cross overs in the disciplines, but depth is certainly a very different thing. In the UK it is hard to train to a world class level without travelling to warmer waters, so we have only had one depth championship in recent years. Basically all of the disciplines in the sea are depth. 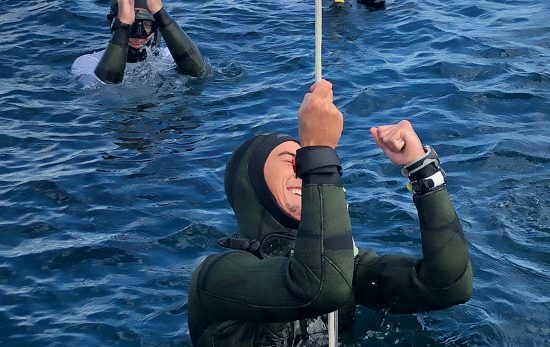 Find an Instructor who is qualified with one of the major training agencies, preferably one with a club attached as a lot of freediving experience comes after the initial course and you will need to train regularly. Don’t be afraid to ask for recommendations from previous students and look them up online so you can see how much experience they have. To find out more about Steve and the Great Northern International pool freediving competitions check out their Website, Facebook, and Twitter channels. We will be live from the Great Northern International pool freediving competition on Sunday 16th April, so remember to keep an eye out on the PADI Facebook, Twitter, Instagram and Snapchat for full coverage and behind the scenes activities.